You can print documents via a web browser from your desktop or with your mobile device through an app. Use the link to upload a file from any web browser to be printed via the PrinterOn service. Woodward Public Library patrons can now print virtually any document, webpage, or picture to the library from their mobile device, laptop, or Internet-connected desktop by uploading a print job through the PrinterOn website or the PrinterOn app. To upload a webpage or a document from your desktop, laptop, or mobile dev ice by following the link below. Printing through the PrintOn website allows you to select the number of copies and pages of a document you want to print. Documents, photos, and webpages can also be printed using the PrinterOn app. View the PrinterOn webpage for a list of compatible devices (printeron.com/aps.html). Visit your mobile device’s app store and install the app for free. 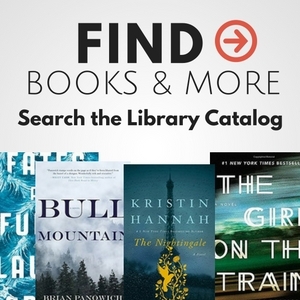 Use the location or search feature to find your library. 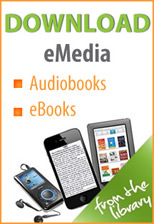 Once you have located your library, tap on the location icon which will redirect you to the library’s PrinterOn page. To save this location for future use, tap the Save Then, use the Back button until you are at the app’s homepage. Tap the No Printer Selected button to see a list of newly saved locations. Tap your library and you will be redirected to the app’s homepage. Tap on Photos to send photos or tap Web to print webpages and files. Once you are ready to print, click the Printer icon. Update any page settings and select the number of pages to print. Enter your email address and finalize your print job. View your Print History to view details about your print job and receive release codes. To have your print job released, please see a staff member at the Front Desk. Print jobs will be held for 48 hours. For questions, please contact the library at 580 254-8544 or stop by the library at 1500 Main St.